You most likely know a woman who has an eye for design and detail. She mixes and matches colors and patterns together throughout her home in such a way generating a “Wow! That’s so creative. Why didn’t I think of that?” type of response from those gathered there. Or there’s the woman who quietly slips into her kitchen after guests arrive for an unannounced visit, pulls together a few ingredients from the back of her pantry and refrigerator, and magically steps out thirty minutes later with a plate of warm, freshly baked chocolate chip cookies. And there’s the friend who sends a lovely handwritten note in the mail, but it’s not like just any other note. She took the time to find pretty paper, accessories, and the perfect calligraphy pen to create a unique notecard worthy of purchase in an Etsy shop. Upon opening it, you immediately feel showered with love thanks to this woman’s artistic expression. Women such as the ones detailed above likely have the charism, or gift, of craftsmanship. Having this spiritual gift empowers them to be effective channels of God’s goodness through artistic or creative work that beautifies and orders the physical world. More than just enjoying the process of creating something, it is the outpouring of love for God and an expression of faith for these women. Charisms are gifts from the Holy Spirit, and we are called to share our gifts, to give them away in order to draw people closer to God. I’d like to shine a light on a few women working behind the scenes, sharing and giving away their gift of craftsmanship with The Well. Collectively, they’re ushering in the fresh, fun, and fabulous. Are you ready to be showered in love on June 24? Here’s a glimpse of what’s in store. Do you know how cool it is to say The Well has a personal pastry chef? It’s super cool. Katie Wallin is her name. Baking is her (holy) game. If you attended last year, you likely remember those fabulous cupcakes — some which looked like roses, others like delicate hydrangeas. 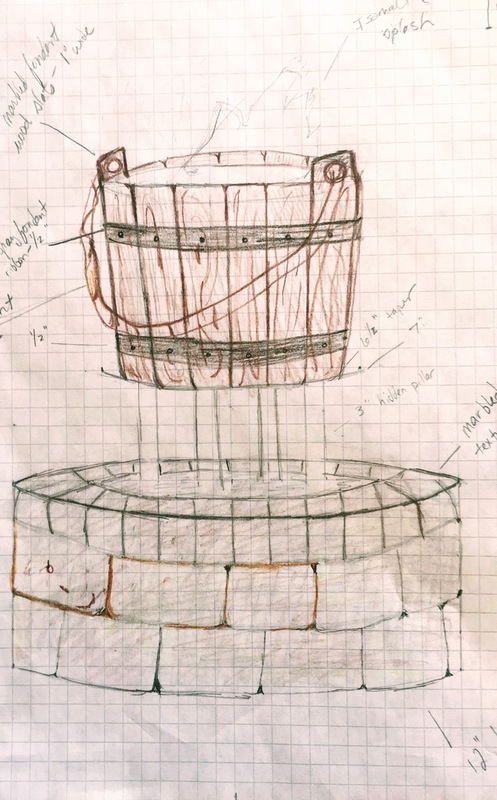 A few months ago, Katie sent me the sketch below, asking for feedback on her edible well cake. Wait. An edible well cake? Oh, and it’s not just any cake, it’s a fondant cake to boot. How in the world does she do it? How in the world will she do it? I don’t know, but what I do know is all this points to charisms in action. I’m gratefully in awe. Seeing this cake in person will be worth the price of admission. But enjoying a piece, too? Feels like we’re getting a BOGO deal or something. In addition to the cake, Katie is also preparing some dessert plates with her famous cupcakes, chocolate chip cookies, biscotti, gourmet madeleine cookies and chocolates. 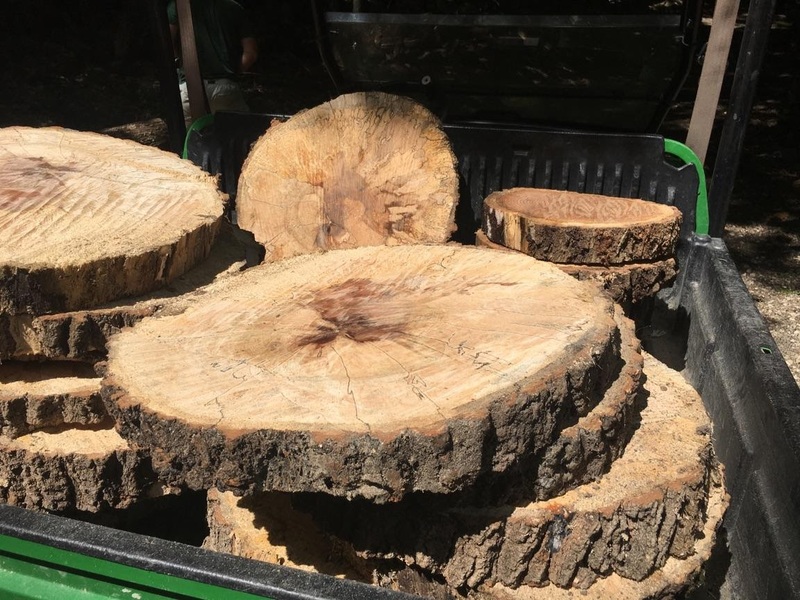 Again, I’m not quite sure how it’s all happening, but these sawed-off sections from trees found on the Huegerich’s property are finding their way to the center of our tables on June 24. LOVE IT! Let me step back a bit. We had an opening to fill on our planning committee this year, and we were praying for a woman to rise up and take leadership of our decor committee. 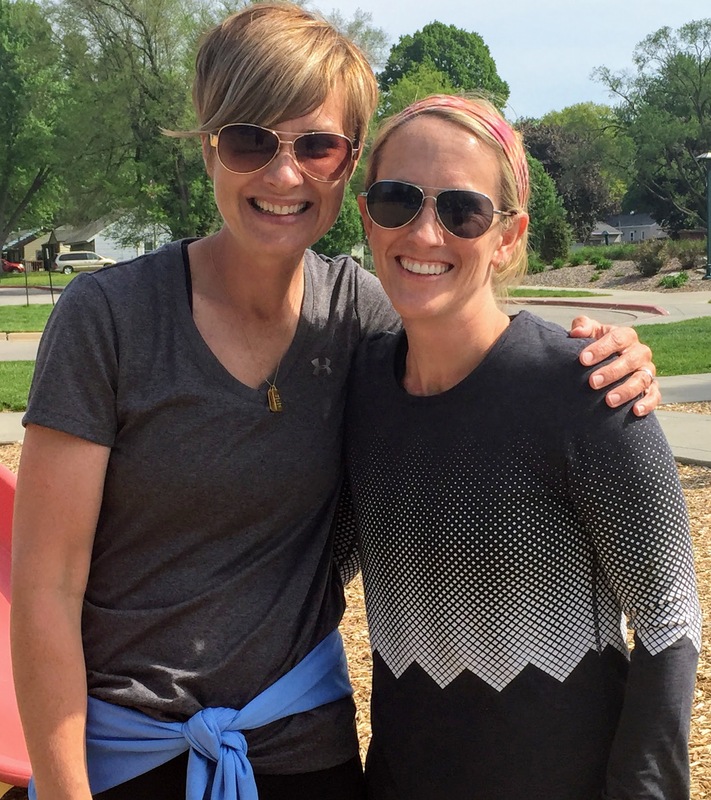 The Holy Spirit blessed us with not one, but two, gifted women to our team in Meredith Smith and Sara Huegerich. These women have been friends since childhood and are now working together to share their collective gift of creating beautiful spaces with us. They care about quality, they pay attention to the small details — flowers, vases, lights, colors, heights, and placement of all the decor. By ready to be wooed by God’s beauty, ladies. Aren’t these adorable? Lynn Marsh, a parishioner at All Saints in Des Moines who is active in Catechesis of the Good Shepherd, is currently donating her time and gifts so that St. Thérèse of Lisieux has a seat at every table. How does Lynn do it? Well, there’s her craftsmanship gifts, there’s paint, and somehow fire is involved, but outside of that, I’m not quite sure how it all comes together (a running theme!). 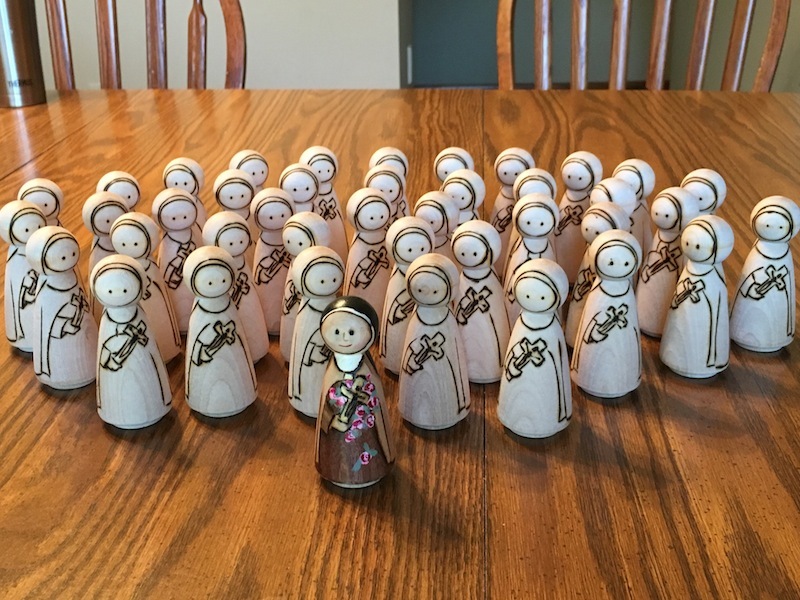 But together it will come, and I’m elated to announce that many of these St. Thérèse peg dolls will be available as door prizes. Katie, Meredith, Sara, Lynn, and all of us here at The Well are looking forward to showering you with love on June 24. Buy your ticket here today. This entry was posted in Summer At The Well and tagged Blog, Blog, Charisms, Craftsmanship. Bookmark the permalink.